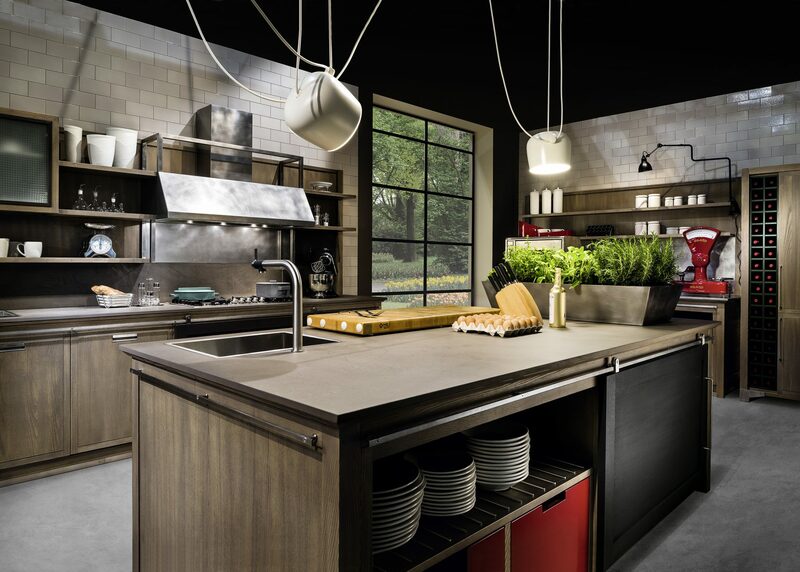 With Industrial Chic kitchen, L’Ottocento reinvents its style in the sign of a design recalling the shapes of post-industrial spirit but renewed in an elegant and domestic tone. 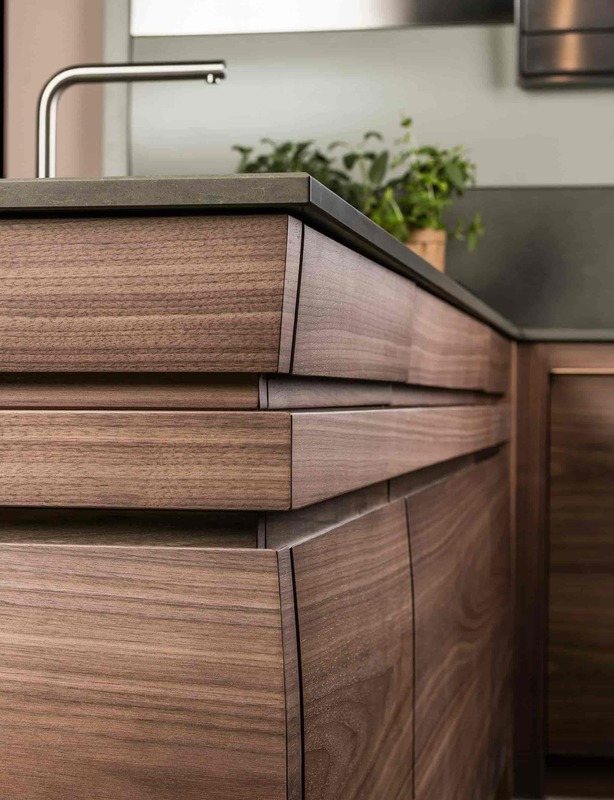 Easy modular elements and character are the key interpretation for the design concept of this ash kitchen where a contemporary spirit meets a light preciousness. 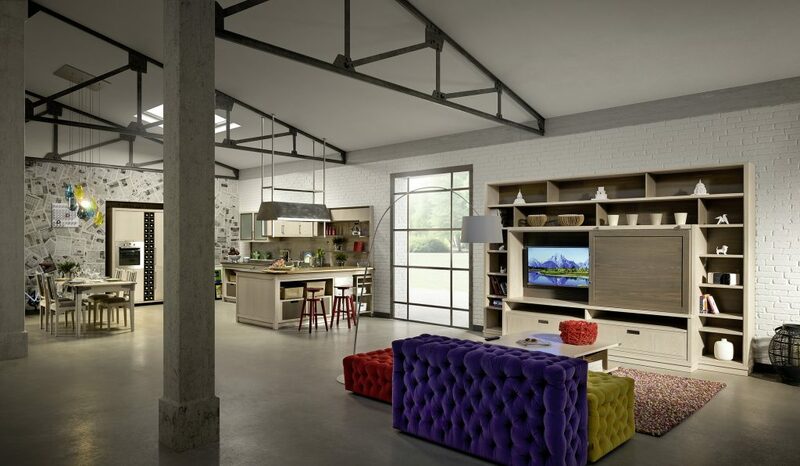 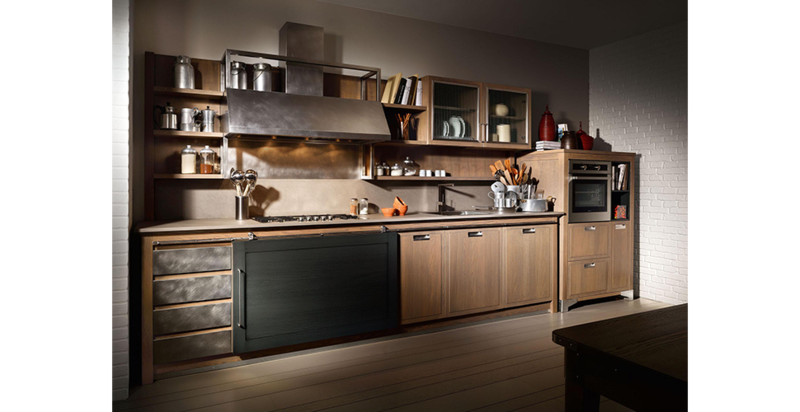 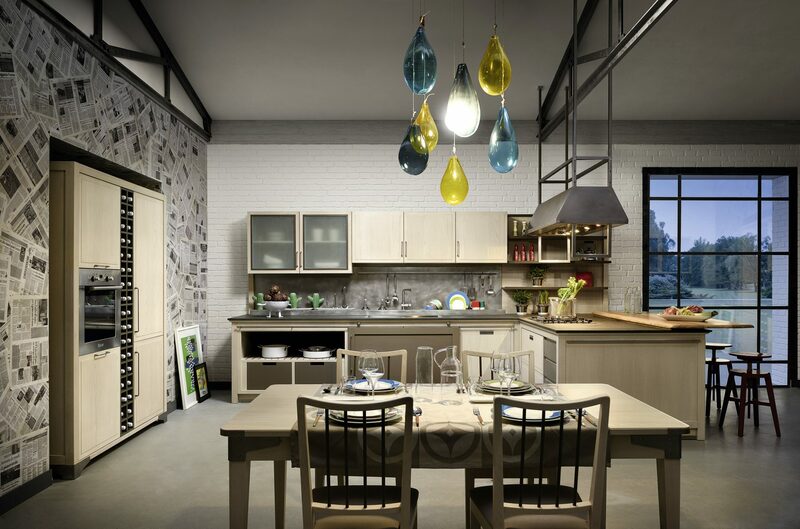 Free-standing elements, wide vintage steel hood and large sliding doors with visible mechanism are the distinctive features of Industrial Chic. 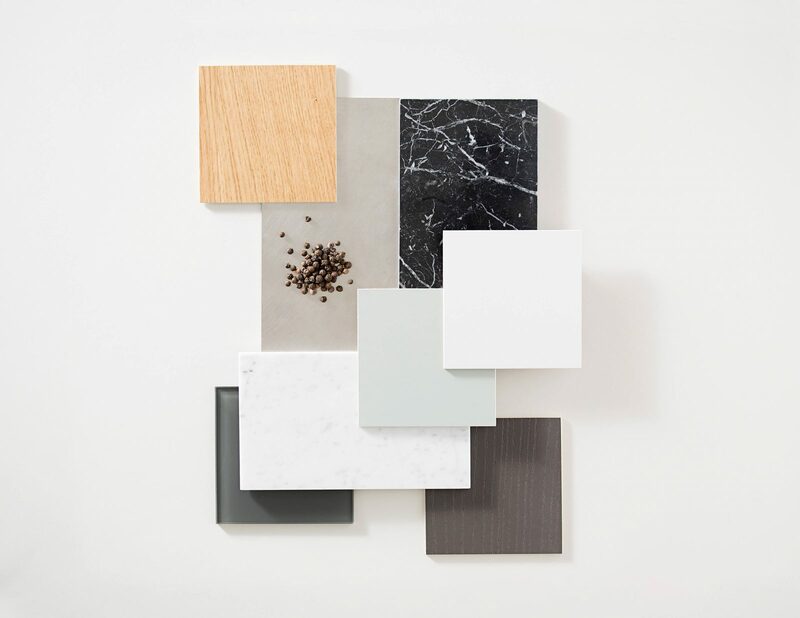 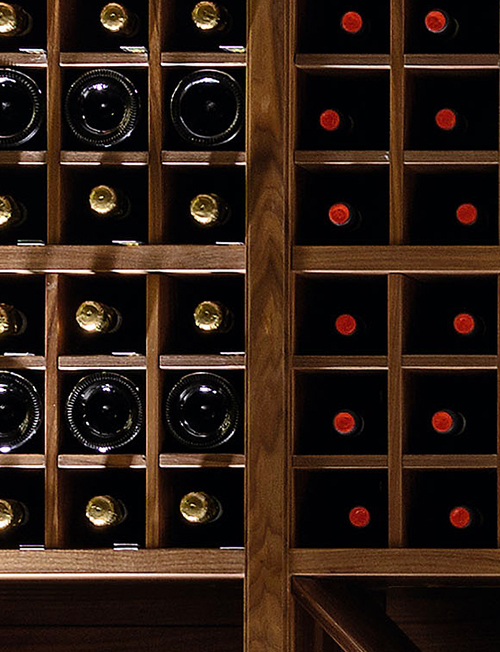 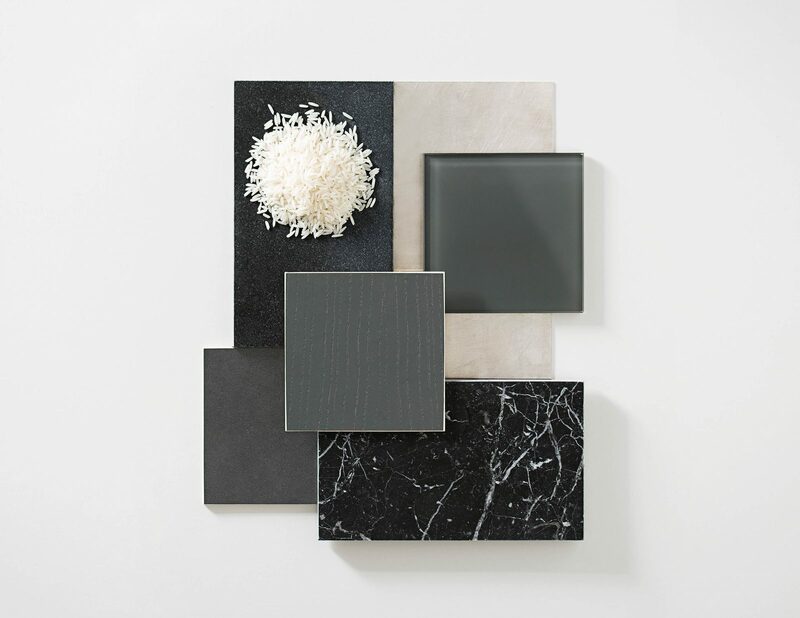 These components could be matched with modern and versatile island or peninsula elements, keeping a strong metropolitan touch. 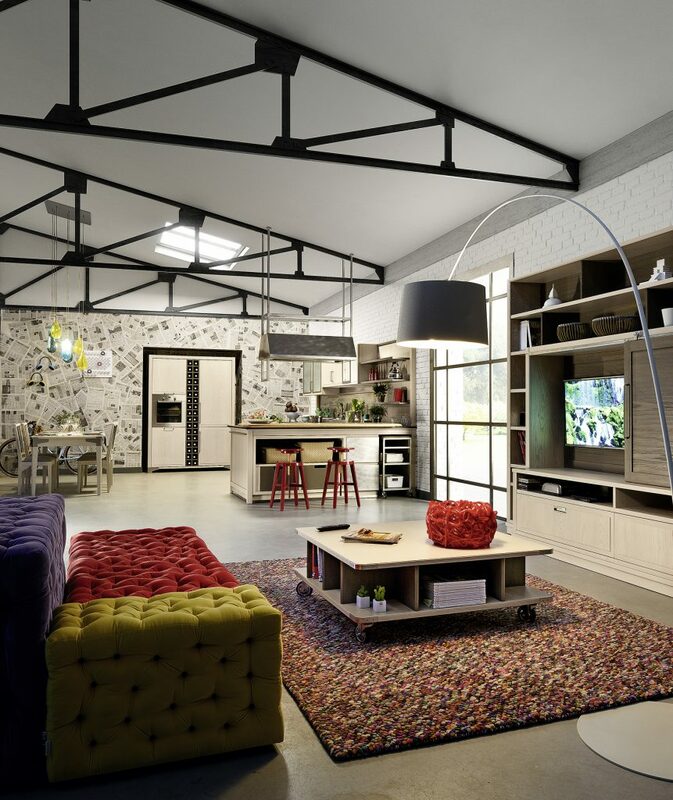 Colour and architectural combinations of Industrial Chic are several and conceived to meet any taste through custom and coordinated compositions including living spaces. 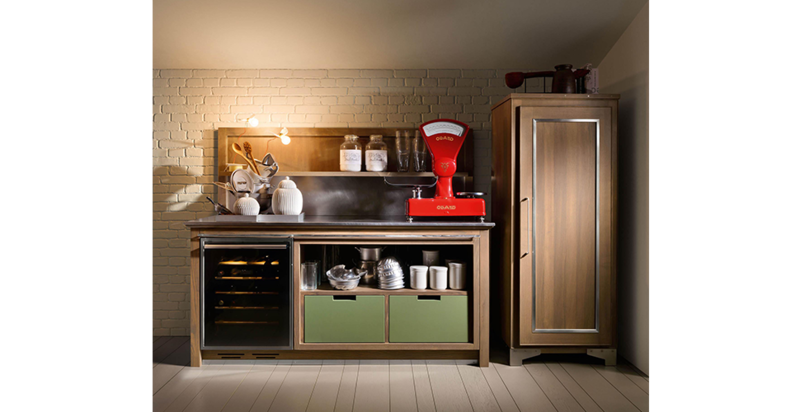 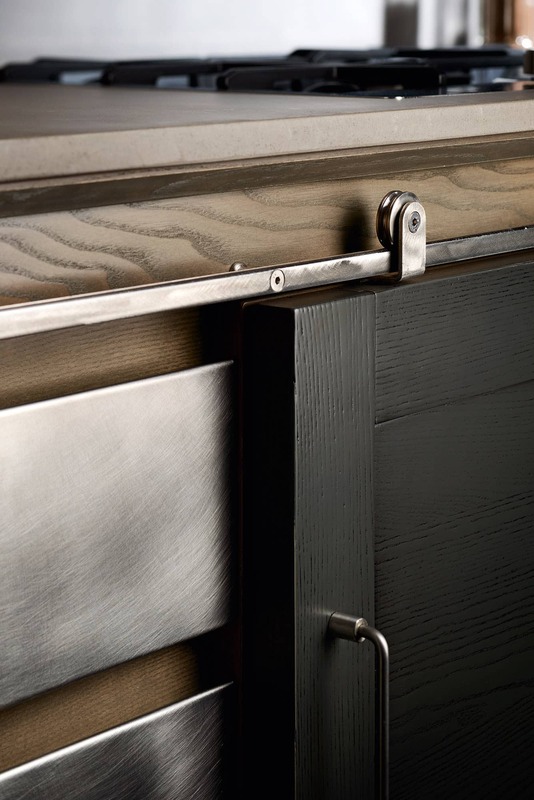 With Industrial Chic, characterized by the small framework door, tradition is combined to metropolitan spirit designing a kitchen to be completed by the built-in handle of cabinets and the curved handle of wall cabinets and tall units. 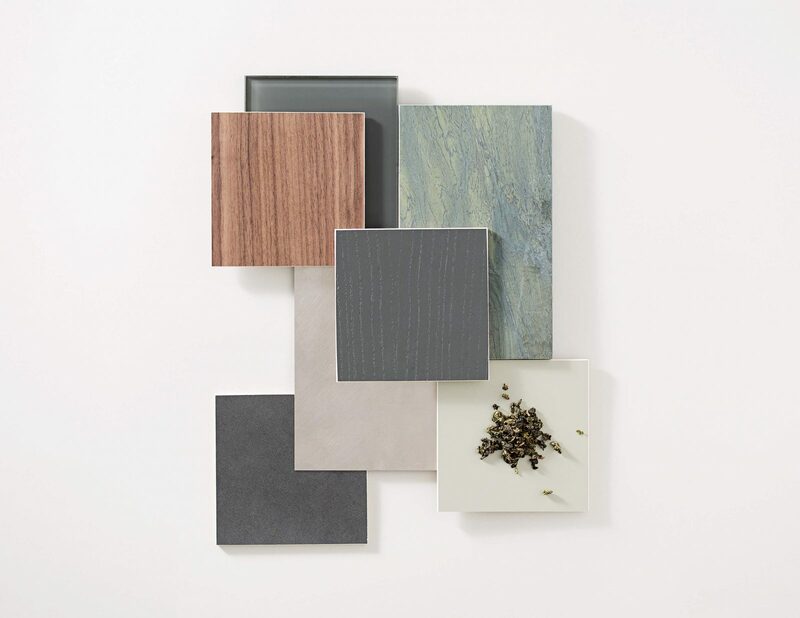 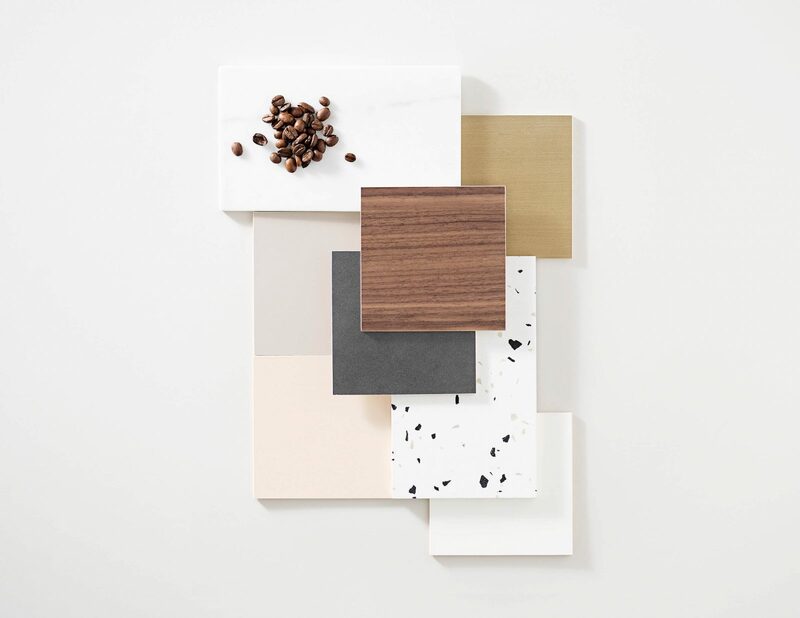 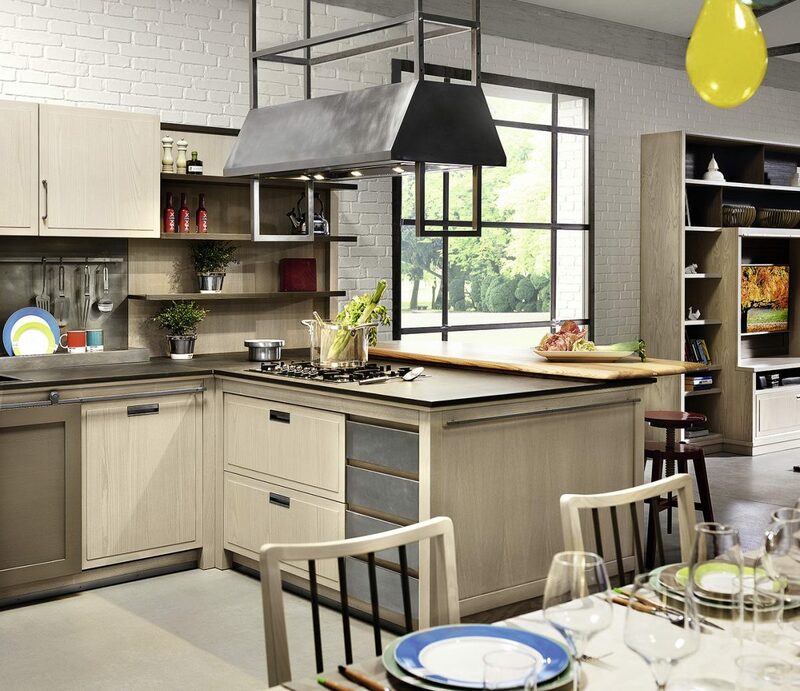 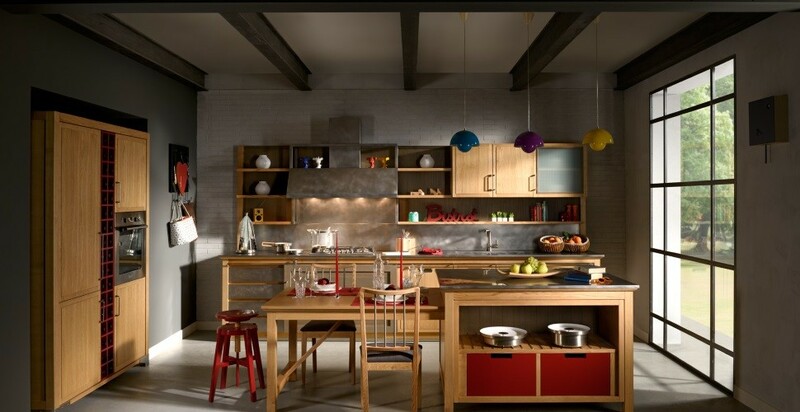 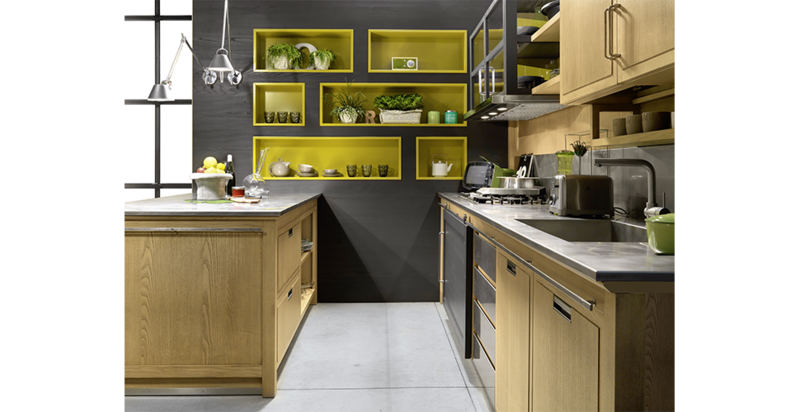 Natural or lacquered open pore ash recalls warm and embracing suggestions while matching to design details, characteristics of a modern warm atmosphere in the kitchen. 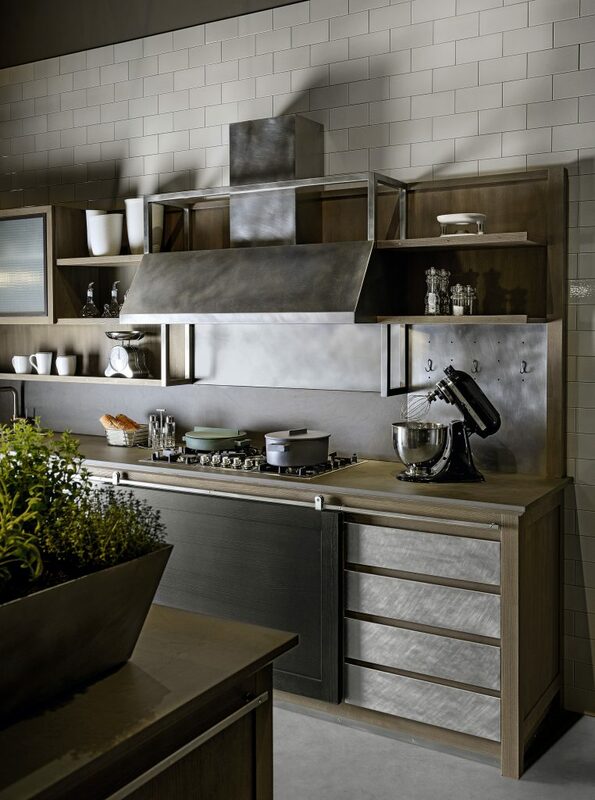 The technical and aesthetical steel equipment of Industrial Chic discreetly highlight the metropolitan mood of the kitchen. 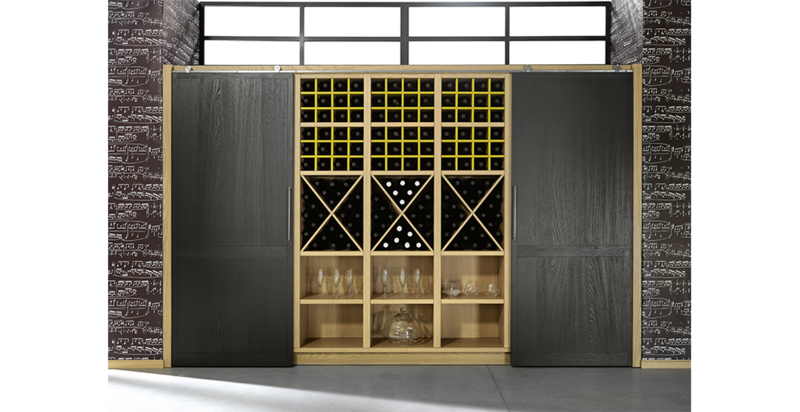 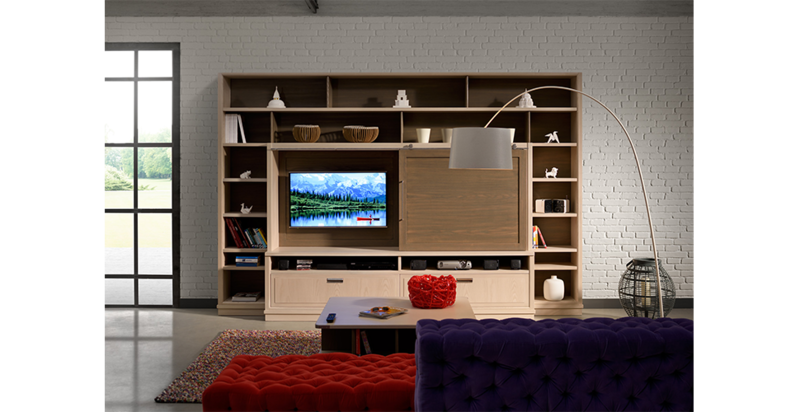 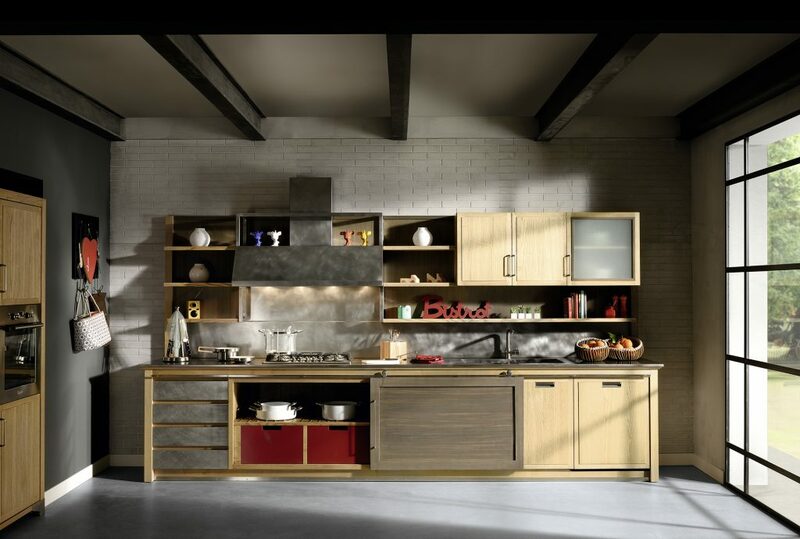 Wide sliding doors with visible mechanism, drawers and integrated handles for doors give the wood a new casual and contemporary language. 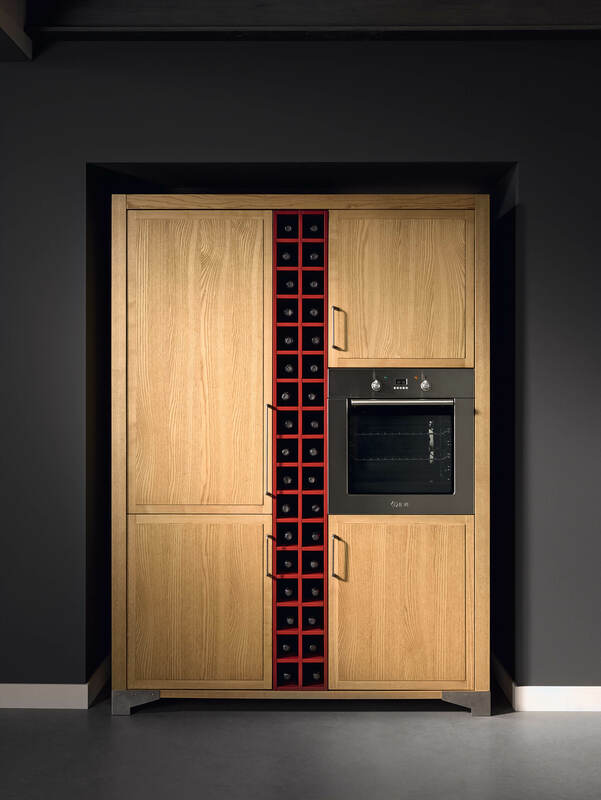  The linear kitchen and the innovative free-standing elements complement each other. 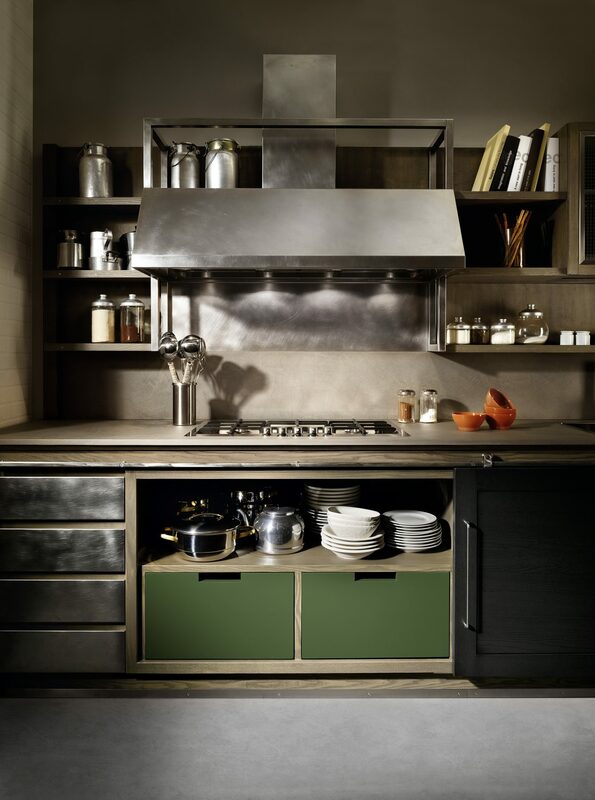 Functional spaces, conceived for storage and conservation, or cooktop stand in autonomy but complete each other enhancing the personality of Industrial Chic. 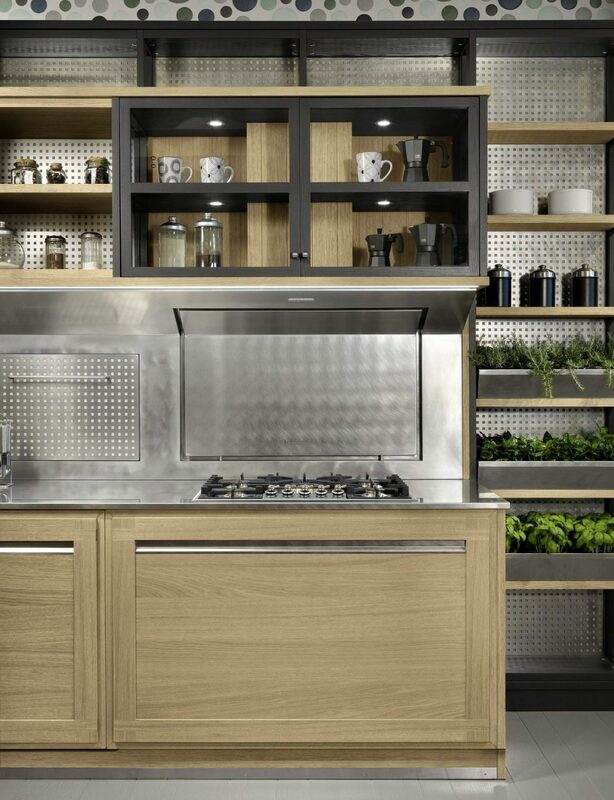 The proposal of this kitchen is completed through a set of precious and special elements as the ‘officina’ drawers system and the wide steel hood in vintage finishing.